Director/Screenplay – Mary Harron, Based on the Novel by Rachel Klein, Producers – David Collins & Karine Martin, Photography – Declan Quinn, Music – Lesley Barber, Special Effects Supervisor – Ryal Cosgrove, Makeup Effects – Adrien Morot, Production Design – Sylvain Gingras. Production Company – Mediamax/Samson Films/Strada Films/Lionsgate UK/Mediabiz International/Telefilm Canada/Astral’s Harold Greenburg Fund/Windmill Lane Pictures/Bord Scannan na hEireann (Irish Film Board). As she turns sixteen, Rebecca starts to write a diary. Returning for another term at Brangwyn girl’s boarding school, she looks forward to seeing her best friend Lucy Blake again. She meets Ernessa Block, the girl in the room across the hallway. Rebecca becomes upset when Lucy seems to prefer spending all of her time with Ernessa rather than her. Rebecca soon comes to discover strange things about Ernessa – how she is seen walking through the grounds at night, how she never appears to eat and how her room is filled with moths. As Rebecca becomes obsessed with finding more about who Ernessa is, Lucy becomes more anorexic and appears to give up eating too. Rebecca comes to believe that Ernessa is draining the life from Lucy. The Moth Diaries is another entry that seeks to tap the burgeoning tween emo drama market that was opened up by Twilight (2008) and sequels. The film is taken from The Moth Diaries (2002), a debut novel by Rachel Klein. Klein’s novel was written as an adult horror novel, told as a series of diary entries where you never entirely knew whether Ernessa’s vampire nature was real or in the heroine’s imagination. 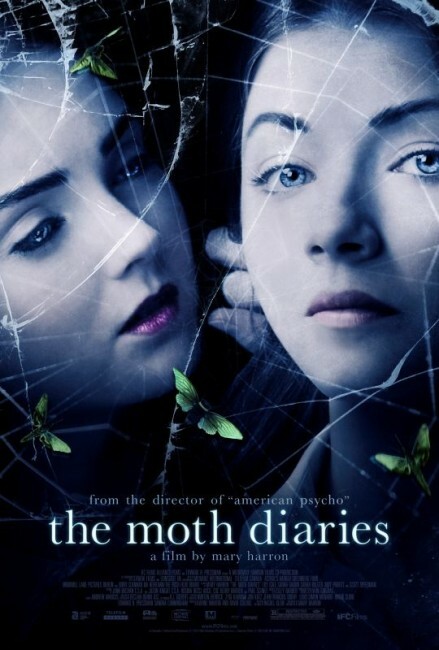 The film version of The Moth Diaries comes from a host of international companies. It is written and directed by Canadian director Mary Harron who gained a reputation with films such as I Shot Andy Warhol (1996) based on the lifestory of 1960s radical Valerie Solanas, the blackly funny adaptation of Brett Easton Ellis’s American Psycho (2000) and the biopic of the legendary pin-up girl The Notorious Bettie Page (2006), all of which have enjoyed a well above average degree of acclaim. As a film, The Moth Diaries seems to take up the challenging idea of rewriting J. Sheridan Le Fanu’s classic lesbian vampire story Carmilla (1872) for the Twilight crowd. There have been numerous adaptations of Carmilla on screen before, including Carl Dreyer’s Vampyr (1932), Roger Vadim’s Blood and Roses (1960), Terror in the Crypt (1963), the trilogy of Hammer films beginning with The Vampire Lovers (1970), The Blood-Spattered Bride (1972) and Carmilla (tv movie, 1989). With scenes set in an English classroom where Scott Speedman is conducting academic analyses of both Carmilla and Bram Stoker’s Dracula (1897), The Moth Diaries may well be the first vampire film that comes with a series of academic margin notes on its own process of deconstruction. More than anything, what The Moth Diaries feels like is a Twilight era version of Hammer’s second Carmilla adaptation Lust for a Vampire (1971), which similarly involved a female vampire preying on the girls in a boarding school. Maybe Lust for a Vampire combined with something of the Anglo-horror film The Blood Beast Terror (1968), which had a scientist’s daughter transforming into a giant killer moth. I actually preferred The Moth Diaries to most of the Twilight films. Where they are centred around a girlish infatuation with finding the perfect guy, much in the way of shirtless posing aimed at the teenage girls in the audience and the ultimate message of saving one’s chastity for marriage, The Moth Diaries feels like it features an assembly of teenage girls who might exist in the real world. The girls are more adult, deal with more complex emotions, have things like their periods (that don’t seem to exist in Stephenie Meyer’s world) and even are seen to be losing their virginity (at least without being married first). Moreover, the emphasis is less on romance and more on horror (or at least the uncanny), which has almost entirely been bled out of the Twilight series. The emo mood and Gothicism literally broods over the film, with Mary Harron digging with a morbid Romanticism into mindset of the adulation of death and self-cutting. The film seems less adept when it comes to capturing the ambiguity that the book held with the depictions of Lily Cole sleepwalking, transforming into moths and drinking blood all being too literal and less ambiguous. The film also never explains, despite flashbacks to the past, what exactly happened to Ernessa and why she became a vampire. The role of Ernessa has been cast with model Lily Cole, a relative newcomer to screens who first gained attention in Terry Gilliam’s The Imaginarium of Doctor Parnassus (2009). 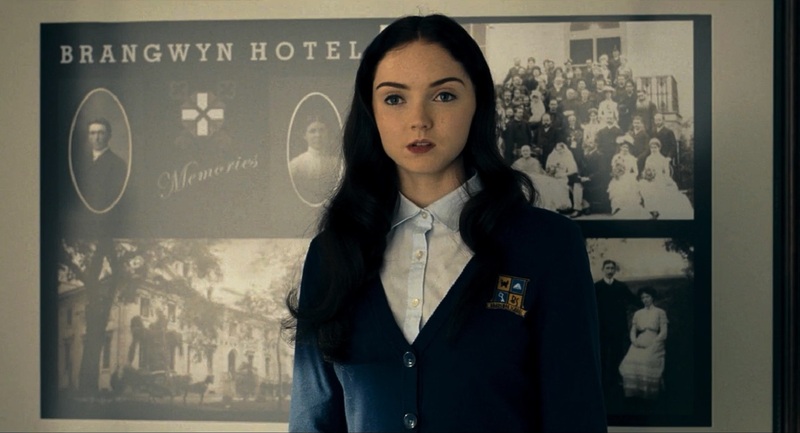 Lily Cole drifts through the film with an eerie alienness, with thick British accent, her natural red-hair dyed black and her eyebrows made up into severe exclamation marks like a pre-Raphaelite Madonna or maybe a slightly older version of Christina Ricci from The Addams Family (1991). 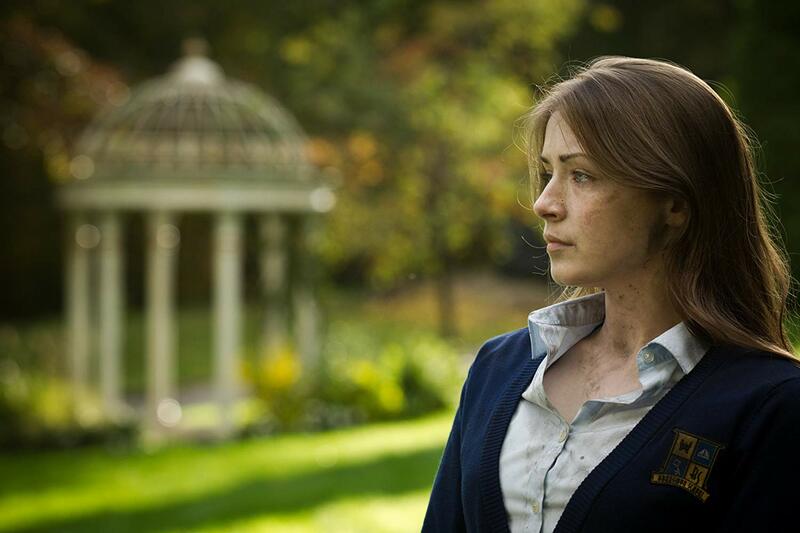 Sarah Bolger also shows promise in the role of Rebecca.